Every time your skin burns, it causes the DNA in your cells to change. Over time, this leads to physical transformations, like pigmentation variations. It will also dry out your skin, causing rough patches to develop. As the UV rays break down collagen and elastin, your skin will lose its firm, smooth appearance. This leads to premature wrinkles and fine lines. Although there are several home remedies that claim to improve the issues, they fail to give you the drastic, lasting results you want. Now, you can enjoy an effective solution to restore a youthful glow with PhotoFacial. PhotoFacial has quickly become a preferred cosmetic treatment because it is noninvasive and produces noticeable results. 90% of patients report a significant improvement in their skin’s flaws. An Intense Pulse Light (IPL) is passed over your skin to deliver high intensity light pulses. This allows it to reach below the surface without causing additional damage to the epidermis. Its thermal effect stimulates collagen production to reduce the visibility of wrinkles. With each treatment, you will see a gradual improvement of age spots and blemishes while enhancing your skin’s tone and texture. Reduction in sun or age spots. Enhances your skin’s natural glow. The laser can be used to treat the face, neck, chest, and arms. On average, each session lasts 30 minutes to one hour; however, the duration varies depending on the size of the treatment area. It is recommended you undergo 5 sessions that are typically spaced 3 weeks apart. If you want to treat several areas or you have significant blemishes, you may need more sessions to reach your desired results. 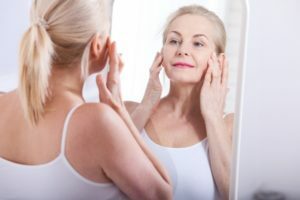 If sun damage, age spots, redness, or wrinkles have caused you to feel insecure when you look in the mirror, you can turn back the clock with PhotoFacial. You will enjoy lasting results to restore your confidence. Dr. Irvin M. Wiesman is a board-certified plastic surgeon specializing in reconstructive and elective procedures. He embraces the latest innovations to provide his patients with superior services to look and feel their best. At Natural Beauty Med Spa, you will enjoy several cosmetic treatments, including PhotoFacial. If you are struggling with sun damage, he has the solutions you need. Contact our office today to see if it is right for you.